THEME: "May the 4th be with you!" This year’s theme is a play on words and a tribute to those who love Star Wars movies. Parade participants are encouraged to dress the part! If you are interested in representing the Historical Society as a parade participant, please contact us ASAP. Send an email to: info@historicalsocietyofhelotes.org. The Society usually rides in classic/antique cars. If you have a vehicle we can use, let us know. 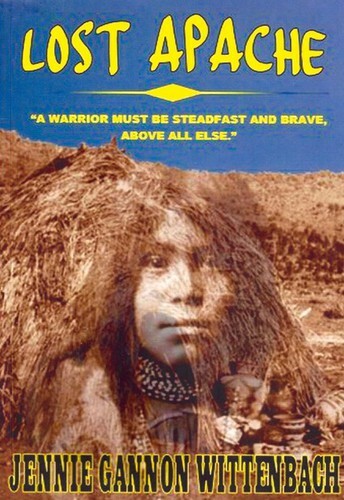 Jennie Gannon Wittenbach, a retired teacher, is author of Lost Apache, a novel about a captured Lipan Apache boy in Mission Concepcion. 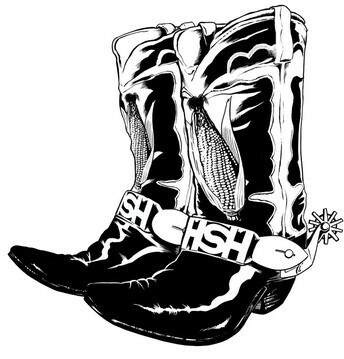 She grew up on the Tex-Mex border and spent most of her life in Texas. From a military family, she also lived in South Carolina and the Panama Canal Zone. She spent 30 years teaching in the elementary grades. When she retired, she began teaching at Northwest Vista College in San Antonio, spending ten years there. After retiring from NW Vista, she began writing and publishing her own stories. 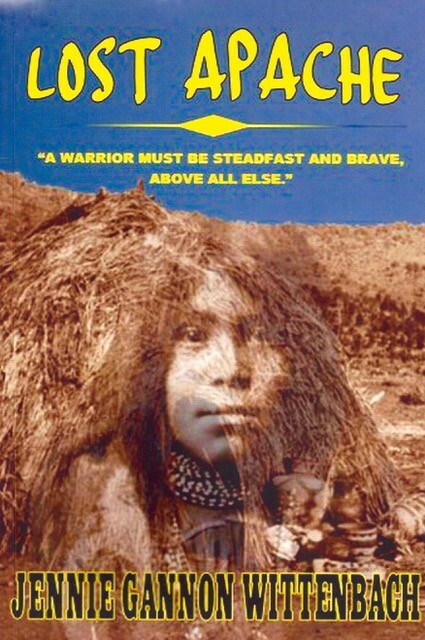 Having taught fourth grade for 15 of 30 years, her audience for Lost Apache is the mid-grades, ages 9-12, although any age group will enjoy the read. Jennie has lived with her husband in Helotes for more than 20 years. Her book will be available for sale. LUNCH: Members - $10; Non-Members - $15. A deluxe box lunch from Jason's Deli. Reservation/meal order must be made by May 5. 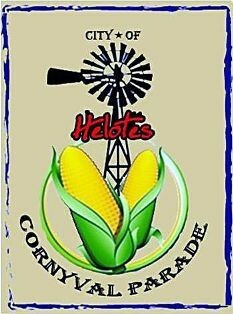 Order on the Meetings page of our website: www.historicalsocietyofhelotes.org. For more info, email info@historicalsocietyofhelotes.org. This meeting is open to the public. Deadline to purchase tickets is May 10th. PO Box 707, Helotes, TX 78023. 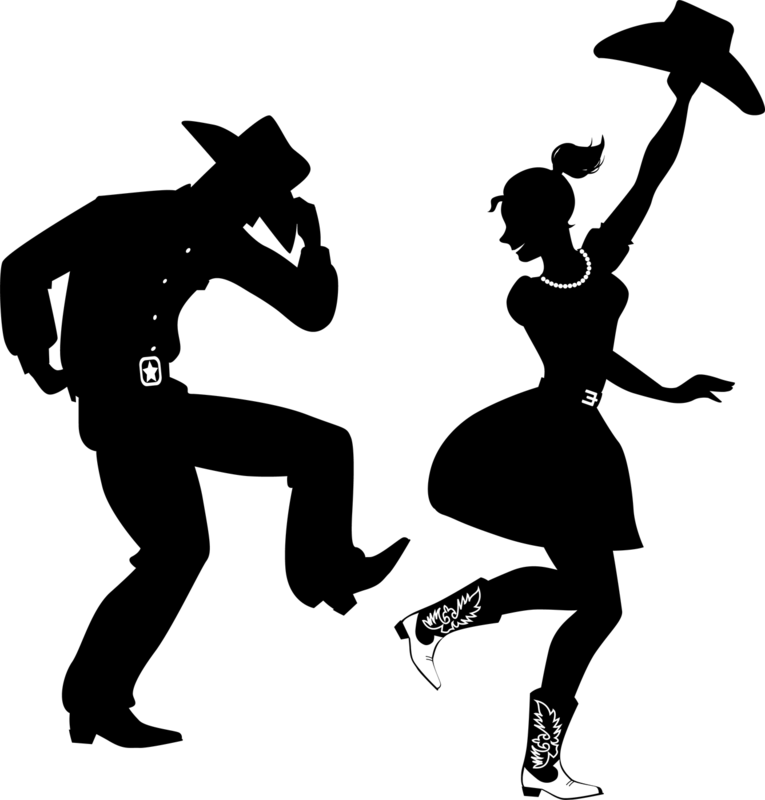 Dance to DJ music played on an old-fashioned vinyl record player and make requests for your favorite songs! We’ll have a wine bar with appetizers, followed by a BBQ buffet dinner. A silent auction, with interesting and valuable items, will be going on throughout the evening, and the "HSH Store" will sell the Society’s products. Proceeds to benefit the Society and its museum fund. We are seeking sponsors and volunteers to help with our Gala. Auction items are needed, as well. If you can help, please contact Rick Schroder at info@historicalsocietyofhelotes.org. 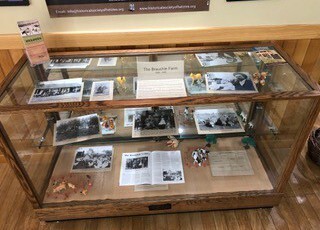 Our new exhibit, “The Brauchle Farm, 1898-1958,” is now on display in the gallery of Helotes City Hall. 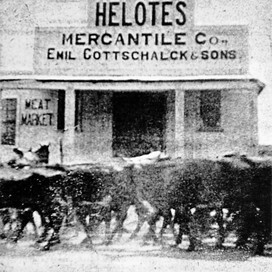 The collection includes photographs of the Brauchle farm, which encompassed 171.95 acres of land, where today’s Helotes Municipal Complex, O’Connor High School, Kuentz Elementary School, a residence, and a few commercial businesses are located. Henry & Eleanora Brauchle raised their family of eight children in a farmhouse that once occupied the spot where the Helotes Police Department is now located. 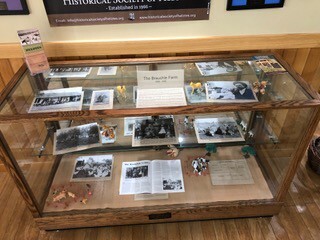 The new exhibit will remain on display until late summer. 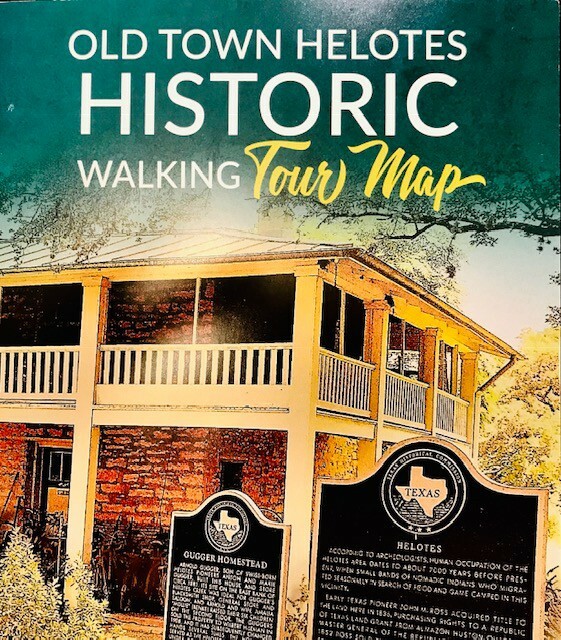 A Historic Walking Tour Map of Old Town Helotes is now available online www.historicalsocietyofhelotes.org. The map can also be found in receptacles that are stationed in various locations around Old Town. The map was co-produced by our Society and the City of Helotes. Sign up for a new membership, or renew an existing one! 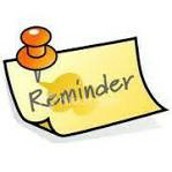 Memberships are for the calendar year, starting January 1. If you paid your dues in November 2018 and later, you are good for 2019. *Paypal payments include a $1 fee for online payment.